Wall Drying 101, using a dehumidifier • The Air Geeks, reviews of air conditioners, dehumidifiers and air purifiers. Wall humidity is a plague that is really harmful both to the health of a house’s inhabitants and to the house itself. Nowadays, dehumidifying devices make them healthier. Here is the updated A to Z of Wall Drying with a dehumidifier. 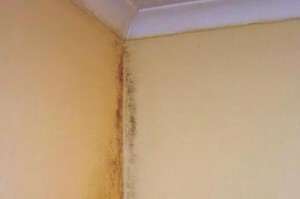 There are 4 main causes of damp walls: a defect in the structure of the house, poor insulation, cracked pipework in the plumbing system, and finally condensation caused by activities carried out by those living in the house. Before you can determine the cause of damp walls in the house, you need to thoroughly investigate the situation. This often means hiring a specialist to identify the exact causes of moisture in the walls. Whatever the cause of the moisture in the walls, it is essential to solve the problem quickly, the health of the people living in the house depends on it. It’s absolutely possible to dry walls with a dehumidifier, but it does not solve the real underlying problems. If you have a problem with damp walls and if you have a dehumidifier in your home, you will be able breathe, there is hope. First of all the device will absorb any moisture in the air, then it will proceed to drying the walls by absorbing moisture from them, and finally it will stabilize the humidity in the air, making it more healthy. Note that almost all electric dehumidifiers can dry walls , but again, this is only a temporary solution. 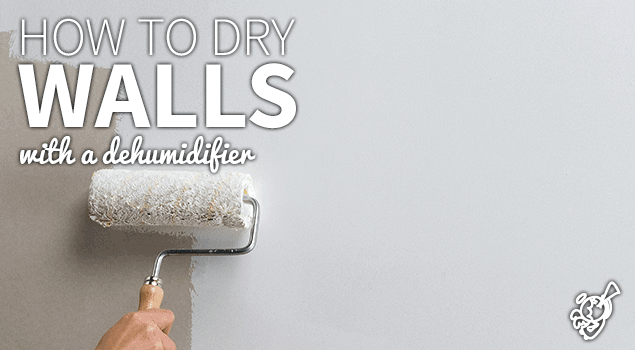 Why dry walls with a dehumidifier? Before starting the detailed checks needed to identify the root causes of damp walls, you need to dry the walls with the help of a dehumidifier. Indeed, until you can find a long-term solution, this will stop the growth of microorganisms that damage the structure of the house and affect the health of inhabitants: molds, fungi, yeasts, etc. It is true that there are apparatus that are specifically designed for the purpose of drying walls, but if your budget can’t stretch to getting one of these, using a dehumidifier is a great idea. If you have damp-wall problem and you have a dehumidifier, place it right at the foot of the problem wall and adjust the settings as required . If you have a device with an automatic option, it will immediately determine the correct settings. So you can see here that the dehumidifier is a very useful device!